Bridges crumbling in Texas. Houses turned to toothpicks in the USVIs. Newly-formed rivers ravaging the streets in South Florida. The devastating destruction from the recent hurricanes that have pummeled the U.S. has uprooted many peoples’ homes and lives, but we have only begun to feel the impact of the surge. Massive relief efforts have begun, national fundraising, news coverage, responsive legislation, and building codes to name a few. A litigation surge is swelling as well. 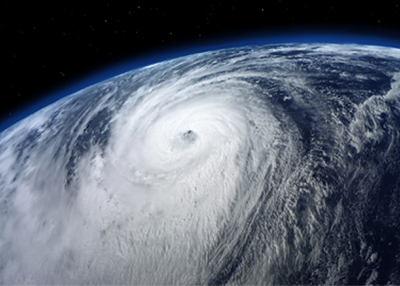 We have seen several types of cases and class actions churn from a hurricane’s aftermath. Here are some of the types of cases, coverage issues, and expert needs you may see after the storm. Insurance companies insuring the Southern United States are bracing for the waves of claims that will soon be flooding in. Just as it was following Hurricanes Katrina, Ivan, and Sandy, the hotly-debated issue of whether the damage was caused by wind or water will be the likely focus. While most homeowner insurance policies will cover water damage that was caused by a roof or window that was compromised by wind and allowed water intrusion, most do not cover water that rises from the ground level and enters the home. Experts will be relied upon to determine how water got into a structure, even when it is entirely obliterated. Most homeowner insurance companies do not cover water that rises from the ground level and enters the home. Experts will be relied upon to determine how water got into a structure, even when it is entirely obliterated. Insurance companies and attorneys will be looking for experts in meteorology, often with advanced degrees and testifying experience, who can opine on the types of weather conditions that might have existed at a given time in a given place (i.e., Key West when Hurricane Irma struck). The experts could come from academia or environmental institutes and societies. They will be asked to review various data points and speak on weather conditions at a particular time and place to support causation for insurance coverage. Structural engineers will also be needed, preferably with experience in standard insurance practices, procedures, and protocols in evaluating damage caused by hurricanes. They will need to have an understanding of insurance claims handling and will be asked to review various reports and data, some from other engineers, discussing damage caused to structures by the hurricane and opine as to whether or not the reports and data are accurate. While many large, concrete commercial buildings and bridges are designed to withstand 150+ mph winds and flooding, they can still be left severely damaged after a storm blows through. Structural failure of buildings, roofs, bridges, and roadways that were expected to withstand hurricane winds will lead to litigation over damage caused by the failure. Structural engineers with expertise in the types of structures at issue, likely licensed engineers, will be needed to examine damage patterns through photos, video, or via a post-storm on-scene inspection. They will also need to use meteorological wind information to determine the cause of the failure and the quality of the design or construction. Often, the core issues in insurance-related storm damage cases are similar across a wide span of policyholders. These cases will vary depending on the coverage matter at issue, but the most sought-after experts will be familiar with insurance claims standards, protocols, and policy interpretation. Construction experts may also be needed to opine on the necessity and extent of certain repairs required after a storm. Also, standard practices and interactions between contractors and insurance companies during the re-build process will come into question. Class actions may be filed as well, simply as placeholders to toll certain claims-filing deadlines or allow broader bad faith discovery against insurance companies who refuse to pay mass claims. One of the worst scenarios to follow a storm is wide-scale price-gouging and scamming by companies trying to capitalize on the desperation and vulnerability of storm victims. Before the storm, many people preparing for power outages or evacuation will see unfair spikes in essentials such as water and gas. After the storm, shady contractors and tree-removers often flood in, lie about their licensing and credentials, and charge exorbitant fees while performing shoddy, haphazard work, or no work at all. Many states, including Florida, have made it a crime for any service provider to offer or sell essential commodities for an amount that “grossly exceeds the average price” during the thirty days following a declaration of emergency. In the days before Hurricane Irma’s approach, many reported price-gouging for essentials such as water, ice, batteries, and gas when thousands of Floridians were stocking up or evacuating. Class actions alleging price-gouging will likely occur following the storm. Experts in standard industry pricing, manufacture costs, and storm clean-up and repair may be called in to opine on the “average price” of certain essential commodities and post-storm services. In the wake of Hurricanes Harvey and Irma, we are gearing up for the incumbent waves of litigation and expert requests we anticipate will follow. What types of cases, class actions, and expert needs are you expecting? There will be class action and other suits against local, state, and federal government agencies claiming flood damages for flood control inadequacies, un-restricted development, and taking (flooding without drainage/flowage easements or ROW. experts in Hydrology and hydraulics, meteorology, floodplain management, etc will be called upon. Your experts on weather might also come from other areas, such as aviation, marine, transportation, and operations research ... who all use weather on synoptic, meso-, and micro- meteorology scales for real-time operations and safety. For example, instrument-rated pilots should be able to read most weather maps/radar to infer wind speed, direction, pressure gradient, precipitation, etc., and they regularly use such information to predict various operational aspects during the weather predictions and reported actual weather.